Author and Pastor Mark Driscoll issues an invitation to Christians to experience a personal relationship with the Holy Spirit in his upcoming book, Spirit-Filled Jesus: Live by His Power, to be released Oct. 2, 2018, by Charisma House ($22.99, ISBN-13: 978-1-62999-522-9). "It is common for Christians to speak about having a personal relationship with Jesus Christ," Driscoll writes. "Jesus, however, lived His life by a personal relationship with the Holy Spirit ... His (Jesus') name 'Christ' literally means the one anointed with the person, presence and power of the Holy Spirit. "The purpose of this book is to help readers think deeply about the Spirit-filled life of Jesus, so they can live by His power," the author continues. "The order is crucial and biblical—first think about Jesus and then, think about you. So, if we want to live like Jesus, we need to live through the power of the Holy Spirit." According to Driscoll, the book has been nearly 30 years in the making as he has studied and taught the Bible. Over time, he has learned the rewards of submitting to the Holy Spirit, and he wants to share the wisdom he has gained with others. "As the 'Son of Man,' Jesus experienced what you are experiencing; you have access to the same power to overcome what you are facing. 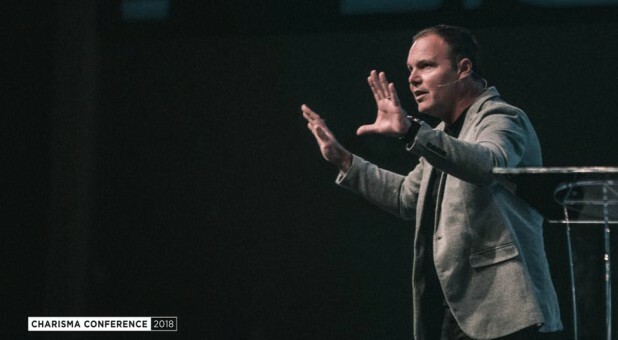 We need to live kingdom down, not culture up," Driscoll said. Living by God's power in all of life. Driscoll writes that "there is no possibility of being emotionally healthy without a deep, intimate, personal relationship with the Holy Spirit." He devotes two chapters each to forgiveness and suffering, noting that "your greatest ministry comes from your deepest pain." "When an awful experience occurs, one person uses it as an excuse to be a horrible person for the rest of their life," Driscoll writes. "Another person uses the same experience as a catalyst for their greatest personal growth and health." In a chapter titled "Forgiven People Should Forgive," he notes that forgiveness flows from God to us by way of the Holy Spirit. "The Holy Spirit empowered Jesus to die in your place for the forgiveness of your sins," Driscoll writes. "The Holy Spirit then brings you the forgiveness purchased by Jesus and enables you to forgive others. ..."
For more information about the book, please visit spiritfilledjesus.com/.